A huge congratulations to the Murray Plate Operations team, who throughout 2018 raised over £1,600 towards charitable causes, including Macmillan Cancer Support, Cystinosis Foundation UK, and Hallam FM Cash for Kids. 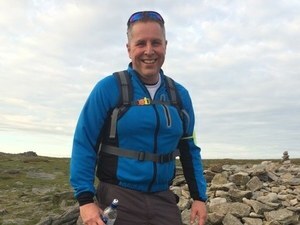 Operations Manager Mark Hewitt raised over £1,000 for the Cystinosis Foundation UK back in September, after being sponsored to complete the Yorkshire Three Peaks. Cystinosis is a rare, genetic disease often diagnosed before the age of two. It involves the build up of an amino acid called cystine, firstly in the kidneys and eyes, preventing the proper absorbtion of vitamins and minerals, and causing vision to be frequently hazy. It later develops in the muscles, pancreas, thyroid gland and white blood cells, often causing rickets and wastage of the muscles. When the lungs and throat are affected, breathing and swallowing can be extremely difficult. The disease often results in organ failure. The Cystinosis Foundation is a charity very close to Mark's heart, due to having a close family friend suffering with the disease. Mark has raised over £20,000 for the charity since 2011, and has plans to continue his fundraising. In late September, the Operations Team took part in the Macmillan Coffee Morning, which they've done every year since 2015. The team spent hours preparing an array of cakes, pastries, sandwiches and other dishes for sale to the Murray Plate, Processing, and Hillfoot Teams. Operations Supervisor Ellis Hewitt talks about the coffee morning "Everyone knows someone affected by cancer and everyone can easily get involved. It was really worthwhile doing." 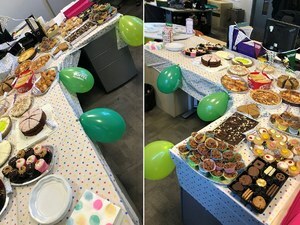 By the end of the day, the operations team had raised over £400 for Macmillan Cancer Support. Every week throughout the year, members of the Operations Team each donated £1 to a pot. 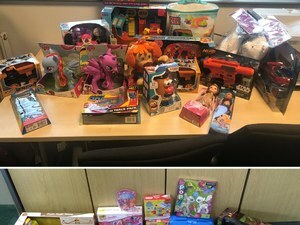 By mid december, they had collected over £180 which they used to buy an array of presents for Hallam FM Cash for Kids, which donates presents every year to disabled or disadvantaged children within the South Yorkshire region. Stock Controller Holly Young spoke about why the charity is important to her "A pound a week is so little compared to the happiness it brings to the children at Christmas, and it means even more to know we're helping the local area". For Christmas 2018, Hallam FM Cash for Kids had donated to nearly 29,000 children within the region. The Operations Team have already planned the charity events in store for 2019. 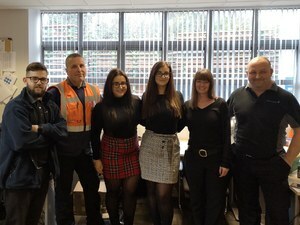 They will take part once again in both the Macmillan Coffee Morning and Hallam FM Cash for Kids, and to raise money for the Cystinosis Foundation UK, the team will be partaking in Tough Mudder 2019!